Sanitation in the washroom carries over to the sanitation of any establish. 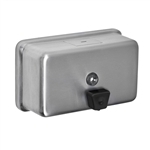 Commercial-Specialties.com offers soap dispensers like liquid soap pumps, bathroom soap dispensers and wall mounted hand soap dispensers. 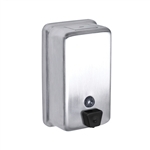 Check out our recessed mounted liquid soap dispenser that are made from stainless steel. 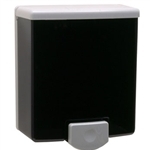 Conveniently recessed within the wall they provide a compact solution to storing and dispensing hand soap. With over 75 years of combined experience, Commercial-Specialties.com provides you with excellence in products and service. Take advantage of our wide selection and order online today! Copyright © Commercial Specialties, Inc. All Rights Reserved.